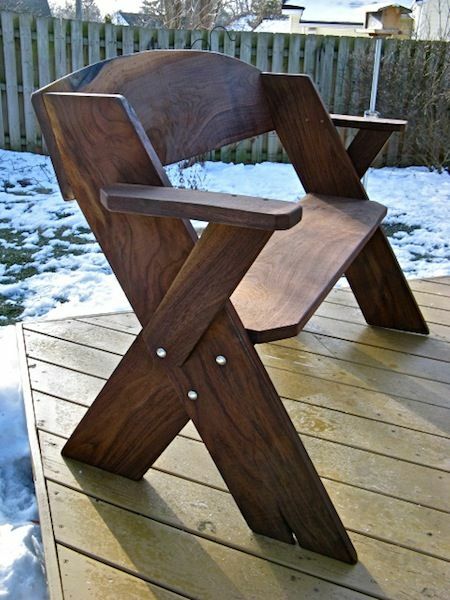 Guys, I want to make a couple of these benches for around the firepit. Has anyone used these plans and have any input on the design? 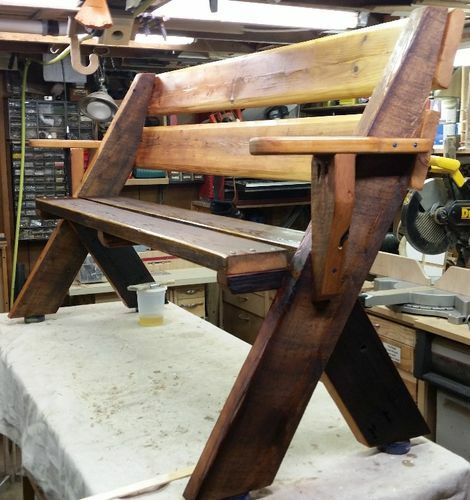 I’m going to add some arm rests, I like that the seat is 2 2×6 boards as the conventional style is one 2×8 or two 2×6 and 2×4. I have not used this design nor built any benches. But I offer my thoughts for your consideration for this nice looking bench. The design seems to incorporate the simplest joints. These joints rely on metal fasteners to keep things together and would make construction fairly easy and fast. One change I would make in the design would be to incorporate some glued interlocking joinery that imparts some structure. Doing so could improve the strength and appearance of the benches. Mechanical fasteners could then be used sparingly to supplement high stress interlocking glued joints. In some cases, well-fitting joints with exterior wood glue could be all that is needed to hold things together. For example, the back could be let into a notch cut in the top of the front leg/back support. The arms could be let into dados cut in the front leg/back support. The front of the arm could be notched to wrap around and set atop the tenoned shoulder of the back leg/front arm support. The legs could be half-lapped. The seat could also be let into dados cut in the front leg/back support. But then all this angled joinery is time consuming and confusing to cut. These are, after all, fire pit benches. If these are primarily utilitarian benches and aesthetics is of lesser importance, the as-shown joinery will probably be good enough. If I understand the plans correctly, the back will angle 30 degrees to the seat. This strikes me as too much angle. I would think an angle closer to 10 to 15 degrees would be more comfortable. Two ways to change the back to seat angle come to mind. The first would be to change the angle of the front leg/back support. But doing this creates a number of challenges that could be difficult to overcome. The second option would be to let the back into a notch that is positioned and cut into front leg/back support the so that the back rest is set at a more comfortable angle. Since this project is benches that will be used outdoors, the legs where they meet the ground could rot after a few years. This is because the end grain of the legs will allow moisture to wick into the legs. Once moisture has entered the wood, it could set there long enough to cause rot, even in cedar or pressure treated wood. Pressure treated wood is treated for either above-ground or ground-contact use. If pressure treated wood is used for this project, ensuring the legs are rated for ground-contact would make them last longer. Adding replaceable feet to the legs where the feet are oriented so that long grain makes ground contact could add some additional protection to the legs. If the feet are screwed in place, the feet can be easily replaced when feet begin to rot. Here is the version I built. I used the cutoffs from the rear angle, which is roughly 14 degrees and made them into the supports for the armrests.